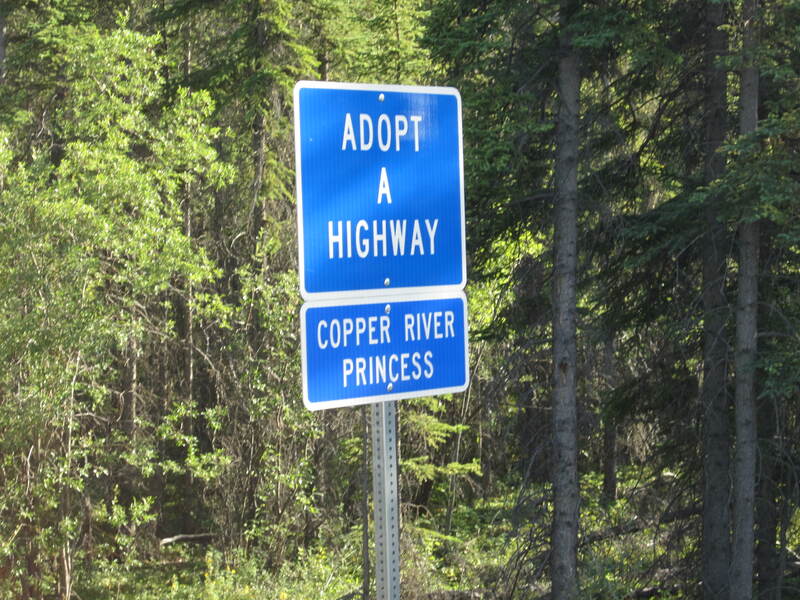 In July, Copper River Princess Wilderness Lodge employees supported their commitment to an adopted mile on the Richardson Highway. A group of eight employees volunteered their time (well, they did receive some ice cream) to clean up the mile. They had a great time and picked up a good amount of trash. 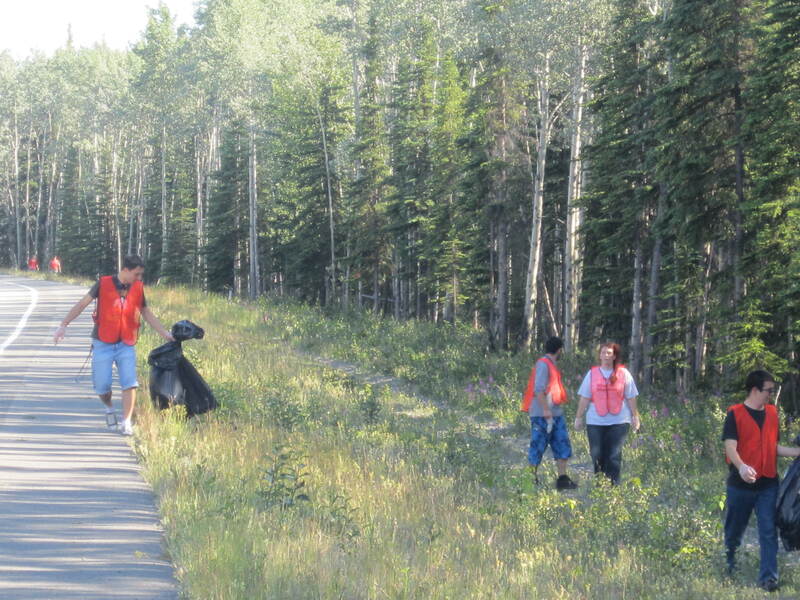 Vadim Bizga, Ile Taneski, Sarah Lafferty and Patrick Parriott (left to right) work to clean up the highway. Photo courtesy Princess Lodges. Lodge employees (left to right) David Jonas, Dustin Ward, Patrick Parriott, Sarah Lafferty, Jessica Weaver, Vadim Bizga and Ile Taneski show off bags of the trash they picked up. Photo courtesy Princess Lodges.